Traditional methods of bookbinding, such as oversewing (where pages fall out) or double-fan adhesive binding (where margins are lost), will soon have to make way for Otabind. An article I read over at hyphenpress.co.uk explains the Otabind method in perfect layman’s terms. Hardback (or ‘perfect binding’) books already separate the textblock from the book cover, to allow for pages to lie flat and still remain intact. For paperback (or ‘softbound’) books, however, there has been little improvement in terms of the technical. Creased and broken spines, loose pages, or pages that simply won’t open flat, have become the norm for readers of paperbacks. But now there is a new method of binding that will allow you to read your book open in your lap as you drink a cup of tea. How does this work? It comes down to the glue. Cold glue, on the other hand, needs 24 hours to dry, and as such many printers do not want to invest in it, as they can make more profit with hot glue. 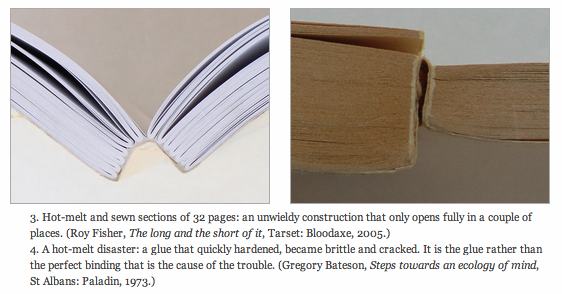 The cold glue also ensured that the pages are very difficult to pull loose. Any of the pull tests that I’ve done down in selfpublishbooks.ie have resulted in elbow bruises from hitting it off the desk. The spine, because it’s not attached to the textblock, is never creased or broken. The pages always lie flat; there is never any margin loss. Why don’t more printers use this? Simply because it is not as quick as hot glue binding, and profits are lost when fewer books are bound. Selfpublishbooks.ie is one of the few printers in Europe who have the facilities and technology to use the Otabind system, and the satisfaction for readers and writers from this commitment can be found here on their website. Want some more visuals on Otabind? Have a look at an Otabind machine at work here. 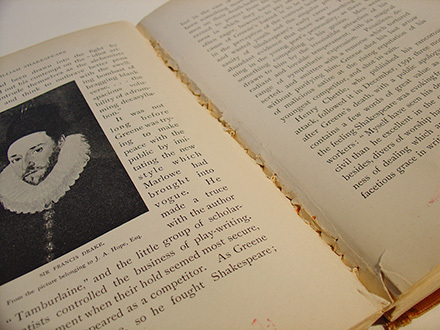 The strength of the bind of the pages is almost three times the UK minimum standard. 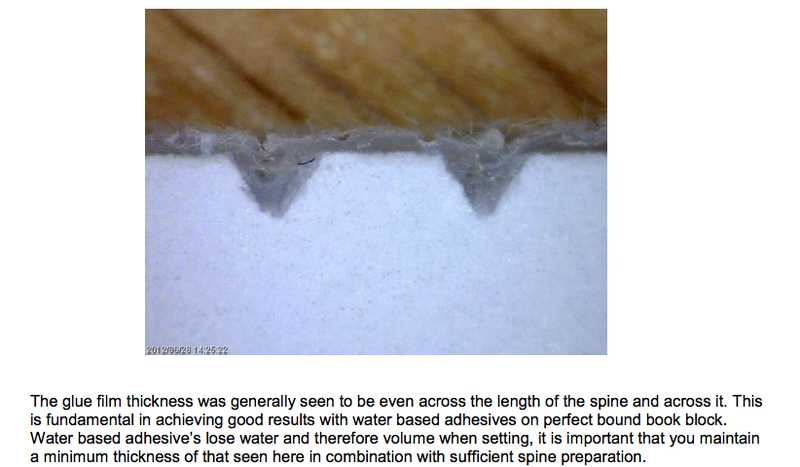 Furthermore, this outstanding result is achieved using only .2 mm (point 2 of a millimetre) of PVA on the page edge. This minimum amount of glue, combined with the unique Otabind feature (the gauze on the book block), and deep notching, gives us not only this superior strength, but also the “lie flat” finish to the book which is so attractive. We like the little things. You can view the full book report here.